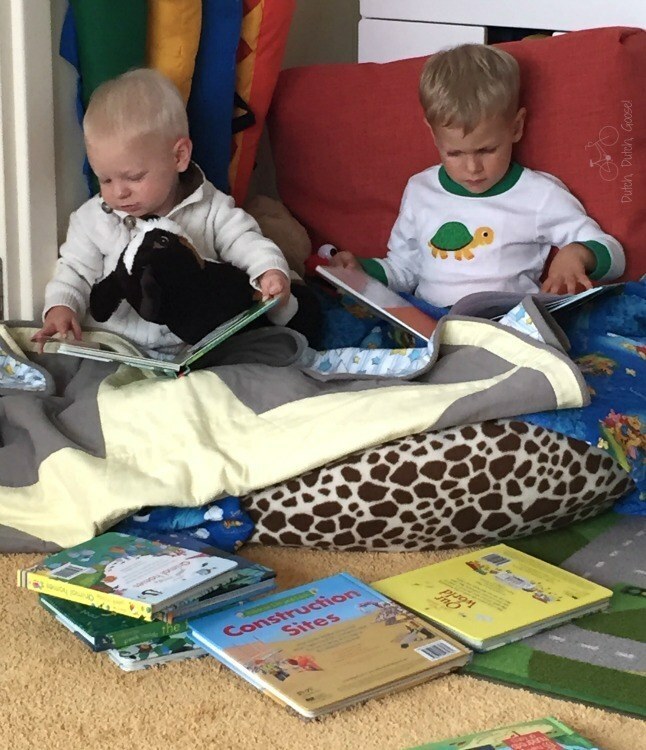 I am always searching for ways to keep the kids engaged in our travel and planning. I try to surround them with maps, landmarks and books about the world. When a question about where we are going or a memory about somewhere we have been comes up the resources are close at hand. A Globe. Understanding that the World is round is hard. The only good way to demonstrate that to a kiddo is through a globe. I had a globe from when I was little that we are currently using. It is not up-to-date and still features Yugoslavia as a country. Nonetheless, it is a model showing that the World is round. That is enough for us. . .for now. Placemats. We are at the table eating at least three times per day so this is a great place to have a map or two. (I love a good educational placemat and have quite the collection on a variety of topics.) Add a dry erase marker, some vis-a-vis or some dry-erase Crayola Crayons and you have a built-in activity right at the table. 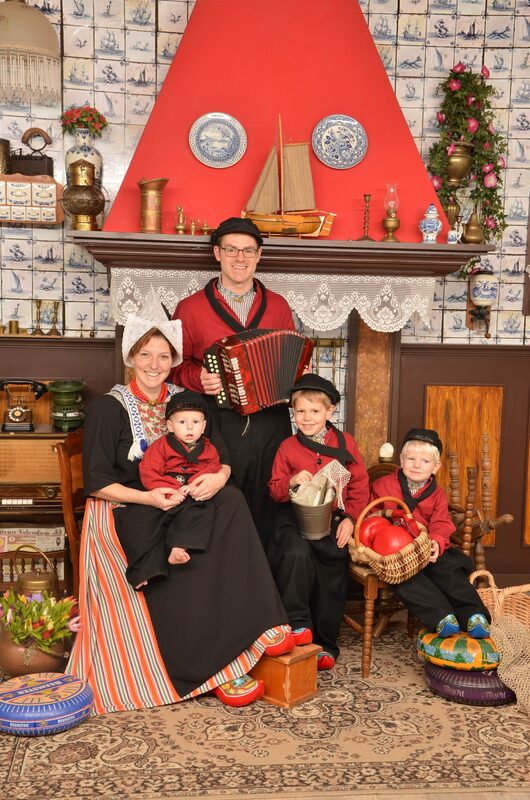 Since we are currently in the Netherlands, the Europe placemat is our most popular. Jeff and I love to look at it as we plan our trips over dinner. Painless Learning Placemats. They have a wide variety of options. Some are available on Amazon ($5 ish/placemat) and some are not. A few of my mom friends and I placed a larger order directly through Painless Learning ($3.50/placemat) to get a great deal and save on shipping. *This was the only place I could find a Europe Placemat. Tot Talk. Love the designs of the Tot Talk Placemats. 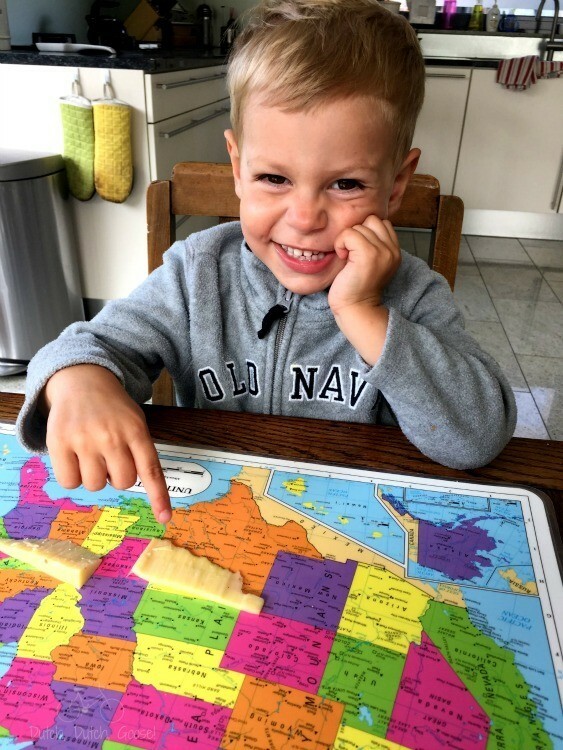 Tot Talk has a page just for Travel & Geography that has a few unique options. They retail for around $7/placemat on Tot Talk and $8/placemat on Amazon. Crocodile Creek is another great option. Board Books. I’ve found the most amazing set of location based board books for our one-year-old from the “Hello, World” series. The titles include: Paris: A Book of Shapes, New York, A Book of Colors & London: A Book of Opposites. I’ve stashed a few of these away for upcoming trips. I have not tried the “All Aboard” series yet, but they are from the creators of Baby Lit (baby versions of Emma, Treasure Island, The Wizard of Oz, etc.) and include Paris, New York and California. Books. There are so many great books on Geography that go beyond a simple (and helpful) Children’s Atlas. Here are a few of my favorite. Lift the Flap Picture Atlas. Each two-page spread focuses on a region. With lots of flaps to open, this book is entertaining while providing lots of fun facts. It comes with a wall map, which we hung in the playroom. The kids have stickers they place on the map after a trip. Scrambled States of America. This is an adorable story about all the States, each with their own personality. You will learn a little geography about each state without even realizing it! If your kids are a bit older there is even a game based on the book. 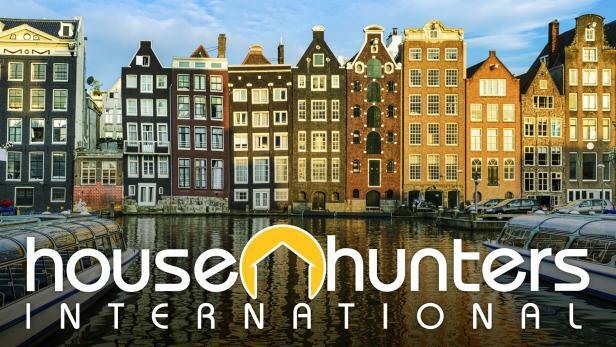 See Inside Famous Places and See Inside Great Cities. These lift-the-flap books take you inside famous landmarks and cities, respectively. It is a great way to show the kids what they will be seeing or review what you have already seen. Home. This beautifully illustrated books shows homes from around the world, with one simple sentence on each page. This book has captured my little guys imagination and we often talk about what it would be like to live somewhere in the book. You Choose, has a similar whimsy, but is less factual based. Each page offers choices from where you would want to live to what you would want to bring with you. Both these books are great conversation starters or could serve as writing prompts. If you have an older child working on U.S. Capitals Yo! Sacramento! is a wonderful memory book that will help you remember them all. I was introduced to its companion book Yo! Millard Filmore! by my middle school history teacher and have known all the U.S. Presidents by memory ever since. Puzzles. We have the Ryan’s Room USA State Puzzle. The puzzle is wooden and easy for the kids to use. The pieces fit together nicely, unlike some of the other puzzles we have tried. We don’t own the Alex USA Map in the Tub, but it looks like it would be quite fun. We have a few of the Alex bath toys and love how the foam shapes stick to the wall and can be used in the shower as well as the bath. I’m still on the hunt for a great wooden Europe map puzzle. Now that I’m in the Netherlands, hopefully I can find one! Activities. Even if you are not traveling there are so many ways to integrate geography lessons. One of my favorite activities is the “My Place in the World” crafts. The blog Still Playing School has a lovely example here. There are also several available on Teachers Pay Teachers. My favorite is by Kid, World, Citizen. 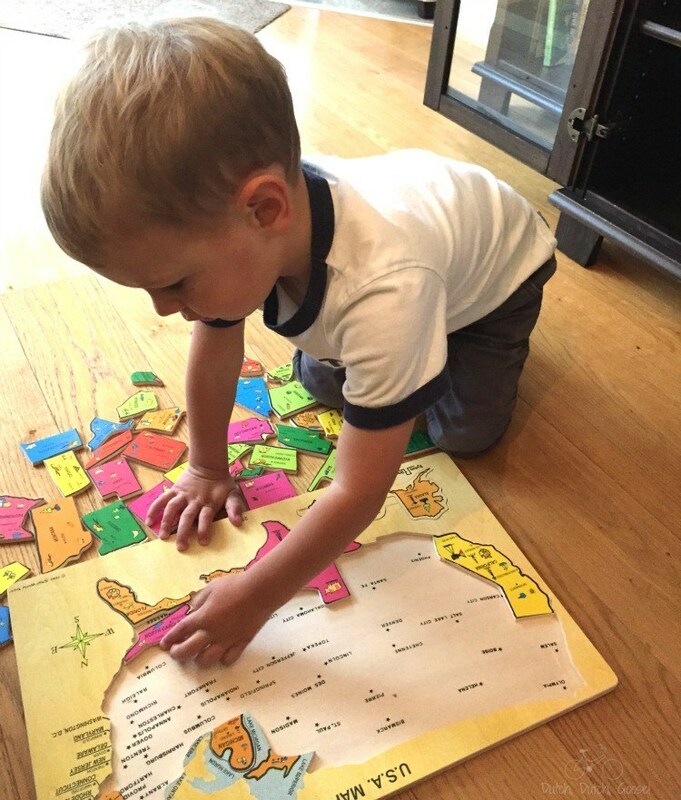 Little Passports puts together monthly boxes that highlight different countries through an assortment of activities. We don’t get them currently since we are abroad. They come highly recommended by a dear friend who uses them with her son. And finally. . .Postcards! This is a great way to celebrate the places you have been. You can see the postcards we’ve been sending here. 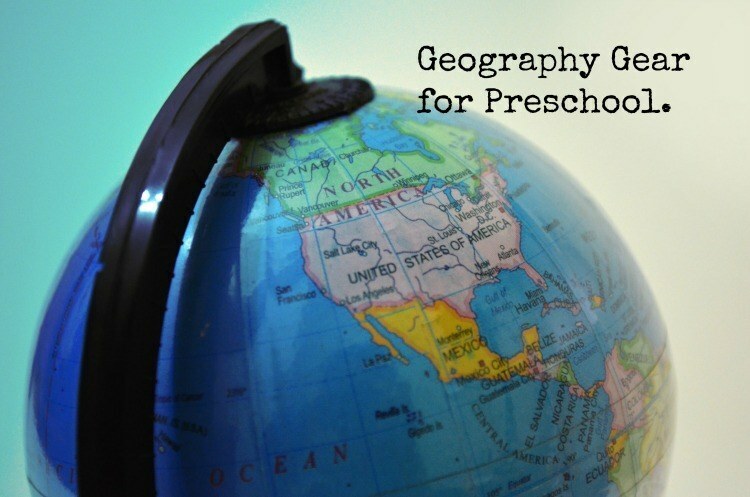 Do you have any great kids geography gear? If so, I would love to hear about it! This post contains affiliate links. If you purchase something through an affiliate link the cost to you will be the same, but Dutch, Dutch, Goose! receives a small commission. This helps offset the cost of running this cite. Thank you for your support!